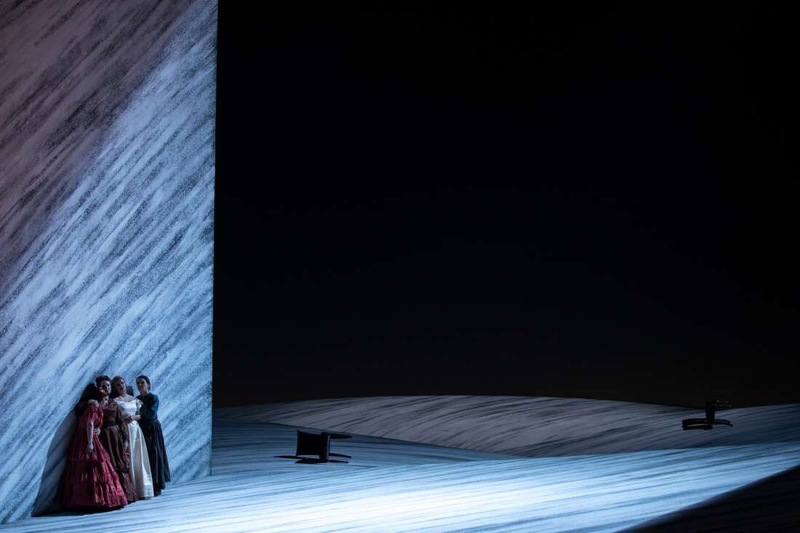 Several considerations lead to this opera trip: initially, Opera de Paris announced the cast for the run as a split between Netrebko and Yoncheva, and my interest was to see Yoncheva as her debut in the role of Tatiana was highly praised. Unfortunately, at some point, predictable cast change occurred, and the replacement was Australian rising star Nicole Car – still quite interesting option to discover. The most enticing part was Peter Mattei as Onegin, and this promise was fully delivered. Usually, I am not building up any expectations towards any of performances attended, but it seems that this time I have fallen victim of inflated expectations. 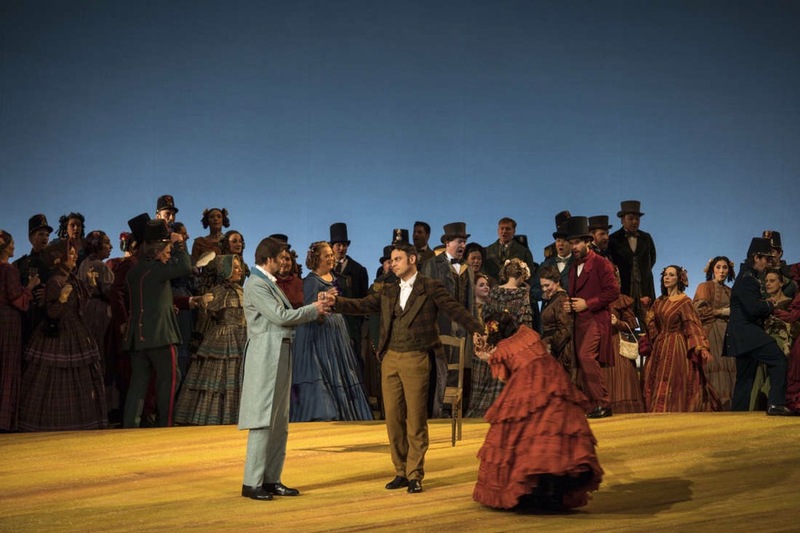 Recently Eugene Onegin was live on Met HD with the cast almost identical to the one in Paris for the May run, starring Netrebko and Mattei, and Zaremba as Larina. 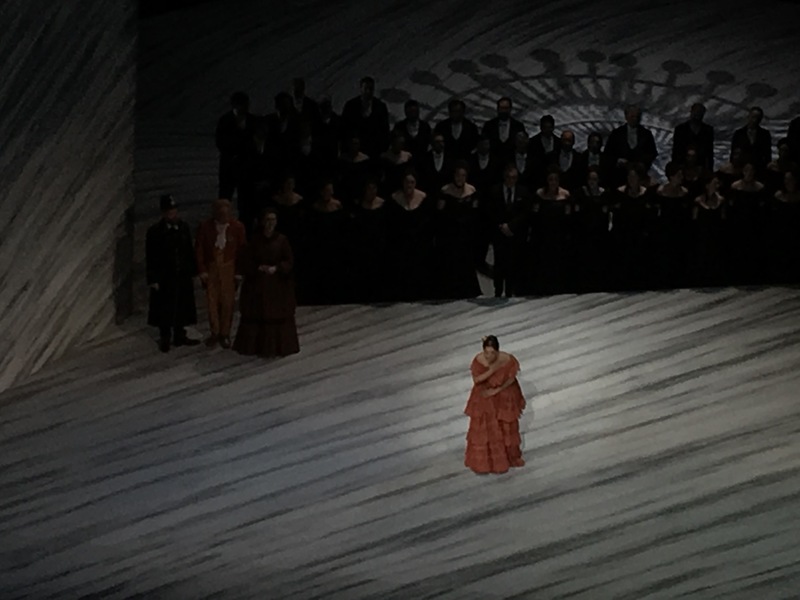 It turned out that the opera in Russian with most of the performers delivering not in their native language, with a stark contrast to those performers who are native and sharing the stage at the same performance provides a huge disadvantage in the ears of native and proficient audience members. That brought me to the thought how inconvenient it is – how do Italians and French native speakers feel when diction of performer is far from perfect? 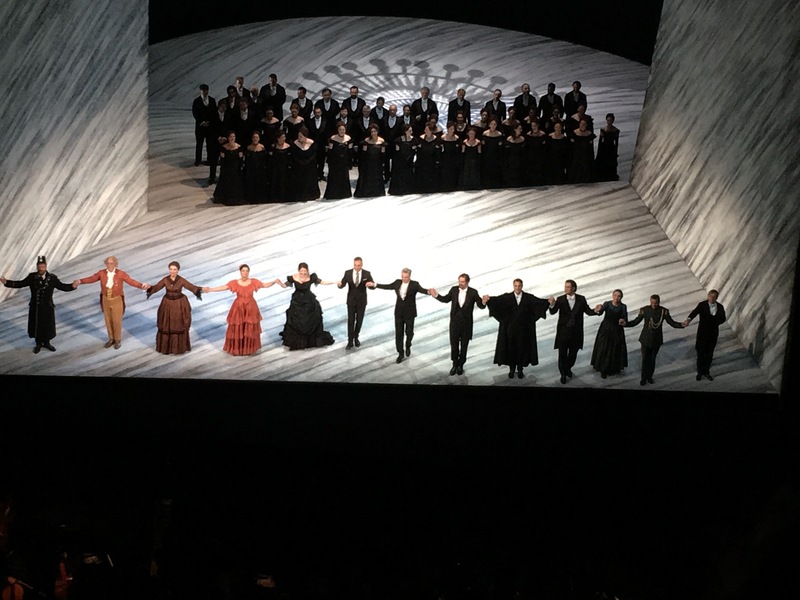 Probably I was a bit tired and/ or still under impression of Rigoletto of the previous night, but somehow I had issues to concentrate and absorb the qualities of production and delivery of the cast. 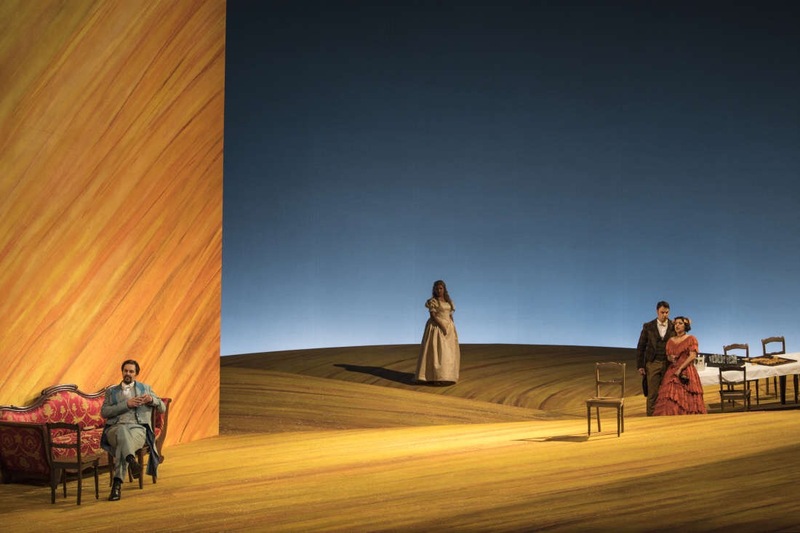 The production of Willy Decker so closely reminds Werther recently seen in Barcelona, that it had an effect on overall perception. I did not expect any new reading of the work or director to dig deep to uncover new layers, but this felt a bit bland. It is a revival of the production of 2010/2011 season and probably the time period has seen some more productions with minimalistic yet colorful design. If in Werther the colors of the first part was contrasting yellow and blue, here we can see the same yellow, sunny and happy country life, with light blue sky which can turn also midnight blue. The second part features grayish design with immense chandelier in the center of the scene, kind of reminding that love and romance has been replaced by habitual existence as blessing from above that is meant to substitute illusions and longing of youth years. 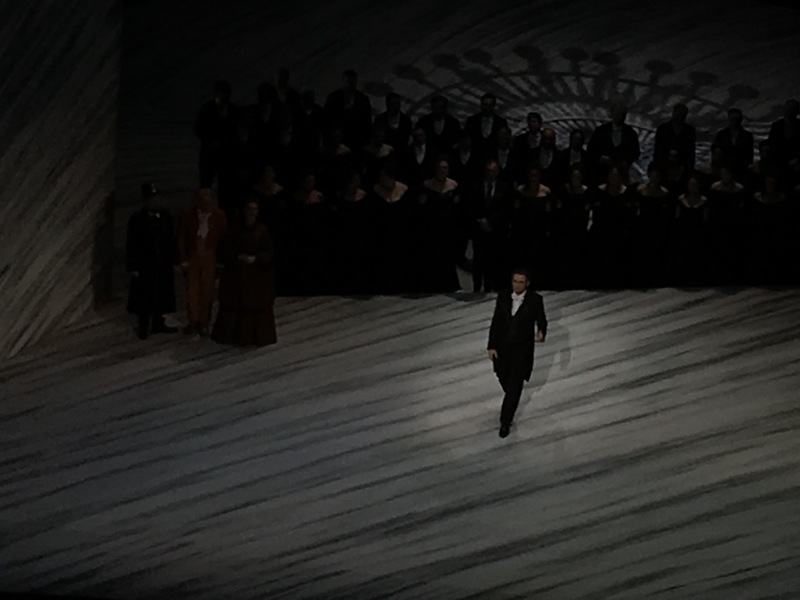 Mattei is exceptional Onegin, and just recently seeing him on MetHD with advantage of high quality closeups gave me opportunity to appreciate his elaborate acting talent. Even from the second balcony at Bastille you can physically feel his stage presence, even when he is not singign in particular episode. 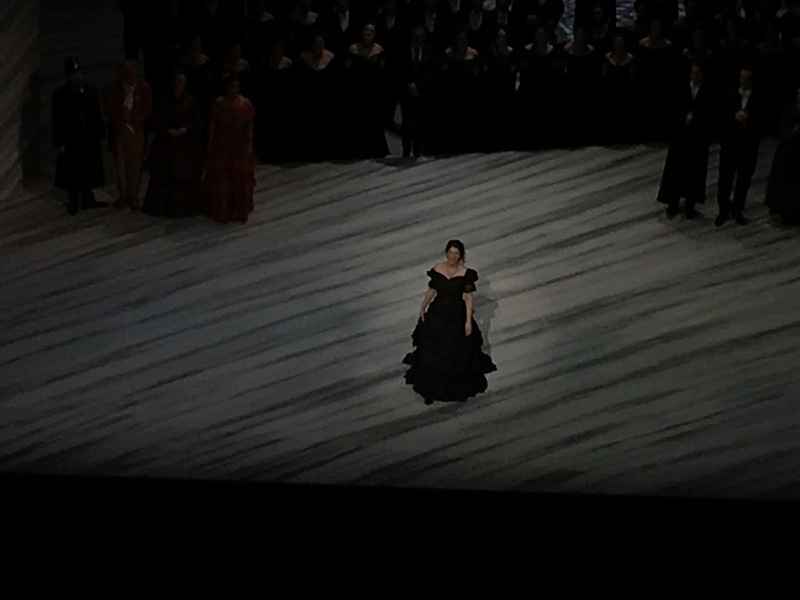 Olga was sung by Varduhi Abrahamyan excellently, her chest register is so deeply resonating and low that I am suspicios she is actually contralto rather than mezzo – the sound is gorgeous. I will look out to see her as Dalila or Santuzza! Elena Zaremba as Larina has been seen so many times, it feels she is the only one singing this role, and it was delivered perfectly. Not convinced by Filipievna performed by Hanna Schwarz, as her passagio felt disturbing, and if this might fit Wagnerian score, at Oneging the force was not helping to buil believable character of timid and old nurse of the countryside manor. Pavel Černoch as Lenski did well, he has great complementary timbre to Mattei in the duets and ensembles. Probably he is not the best tenor heard at this particular role, but his russian was almost comprehensible. 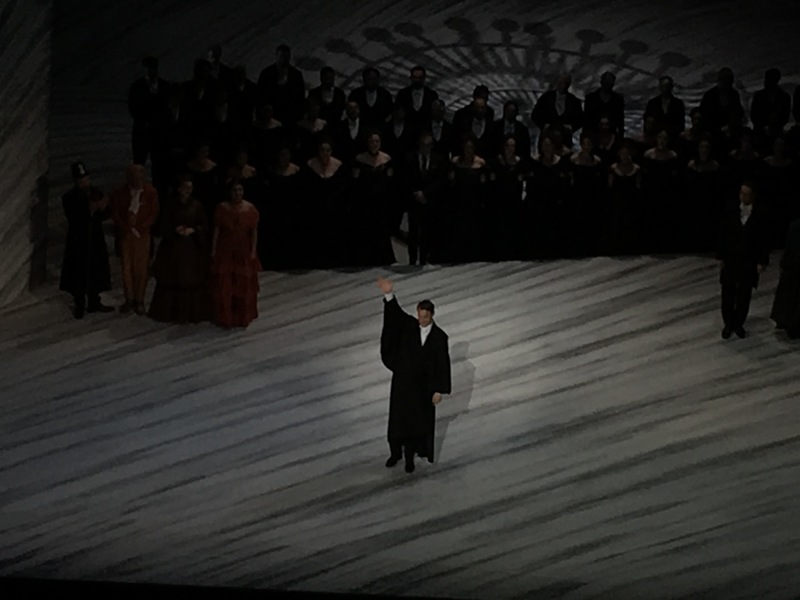 Alexander Tsymbalyuk as Prince Gremin sung his short, but impressive part with great emotion, and sounded excellent. 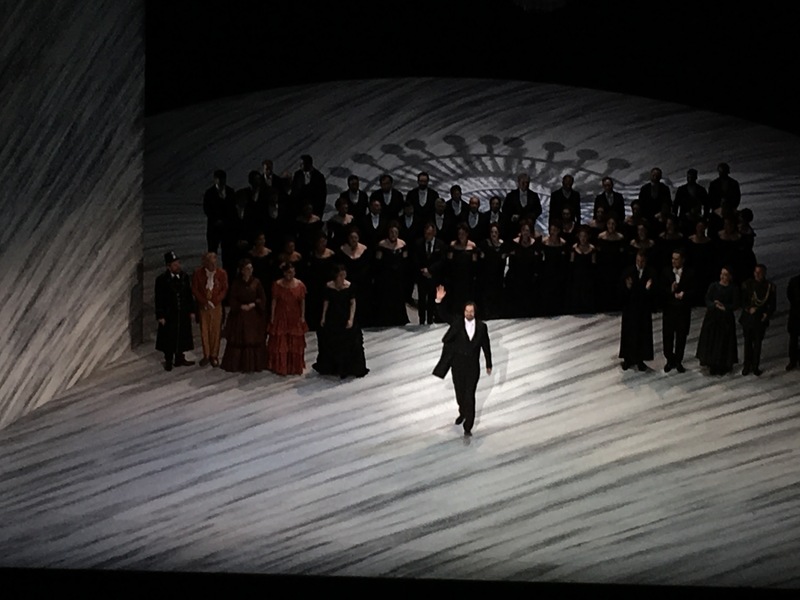 Previous Post: Power and suffering in Rigoletto: Grigolo, Sierra, Lučić excel in Paris.